Counting on American’s mistrust of the rest of the world, the media is fueling hysteria against Snowden to distract from his revelations. 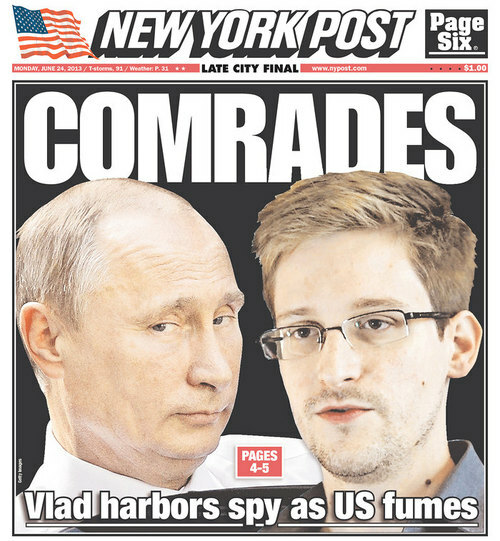 The funniest thing about this headline is the fact that doubts are raised today if snowden was ever in Moscow. Many journalists did board the flight which is alcohol free and will last 12 hours. They will have to stay in Cuba for three days. Please tell me that Dances-with Rove Gregory is there too! « Bloomberg: Keep your dictatorship out of my dictatorship!